Looking for things to do in Venice? Venice has so much for kids and adults alike! Check out these 17 fun things to do in Venice and enjoy!! A gondola ride through the canals is a must do when you travel to Venice with kids. 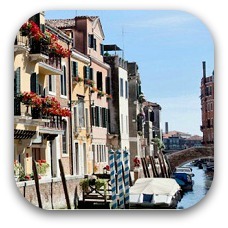 The kids will love exploring the side canals and seeing the bridges and boats all around. The gondolas are a set price for up to 6 people. It is more money at night and also if you hire a singer or musician. Head to the Rialto Bridge with your teenagers for some souvenir shopping at the flea markets and stalls nearby. The bridge offers tremendous views of the canal, though the bridge itself is not much to look at! Campanile di San Marco is another one of the family friendly Venice attractions. Take the elevator to the top of this bell tower for 360 degree views of Venice. If you time it right you can hear the bell ringing (very loudly!) on the hour. 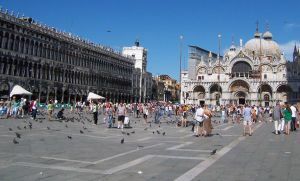 One of the best things to do in Venice with kids is to visit Piazza San Marco (St. Mark's Square). Toddlers and young children will have fun chasing the birds in the square. Don't forget to save some bread from dinner to feed the birds with! There are lots of restaurants and cafes with live music in the square though they are notoriously pricey-head out a few blocks for cheaper eats. It's nice to take the kids for a stroll in the evening to see it all lit up. We spent quite a bit of time in this piazza just people watching and enjoying the bustle of the city. 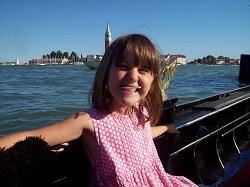 Visit Macacotour who offer customizes trips around Venice for kids! 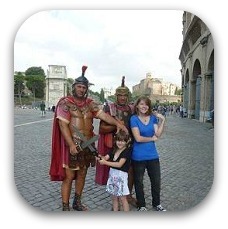 They offer treasure hunts for kids ages 6-11 to find cultural and artistic icons around the city! Lots of fun! The tour includes games, images and maps that stimulate creativity! Kids will enjoy taking the Vaporetto or water taxi along the Grand Canal of Venice. Enjoy the views of the beautiful old buildings and palaces that line the sides. 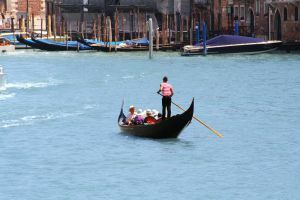 This is a great way to travel around Venice and to reach the nearby islands. You can buy hop on hop off passes to save money as well. Kids and adults alike will relish a visit to Murano Island to see the glass blowing demonstrations at one of the factories. Toddlers may need to be held as the glass is extremely hot. You can also purchase some of this colorful glass pieces (very expensive! We got a lovely snail -after the book Sammy's Next Move). There is also a Glass Museum that you can visit as well as lots of little shops selling trinkets and outdoor cafes. This is a great half day trip when in Venice. Highly recommended. Spend an afternoon exploring the nearby island of Burano. This picturesque island is home to brightly painted homes of all colors complete with flower boxes and wooden shingles. The kids will have fun exploring the smaller canals and crossing the footbridges. Stop by the lace museum to see how these beautiful handcrafted pieces are made. 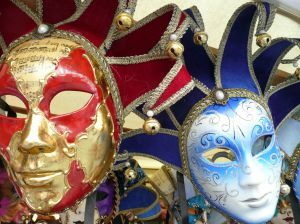 One of the most cultural things to do in Venice with children is to take a Mardi Gras mask making course. Your little artists will be able to paint and decorate their own carnival mask and bring it home as a souvenir. Parents must attend the workshop as well but it is really a lot of fun and my kids loved it. Cool off in the summer months with a visit to one of the Lido beaches. Relax on the beach or collect shells with the kids. You can rent bikes and explore the island with the kids as well. You can even rent a five person buggy bike! There are lots of shops, cafes and gelato shops. If you are traveling on a budget consider staying on this island with the kids instead of in Venice. Enjoy these delicious Italian food for kids on your family holidays. Fresh pasta, home baked bread, pizza and gelato-what more could a kid want? Older children and teenagers may enjoy a visit to the Doges Palace where they can see the splendor of this palace. Join the secret itinerary tour where you get a glimpse of the dungeons! There is a nice park for kids called Giardini Pubblici in Castello at the Giardini Vaporetto stop. Here the kids can run around on the grassy areas and make new friends at the playground. It is a great relaxing spot! 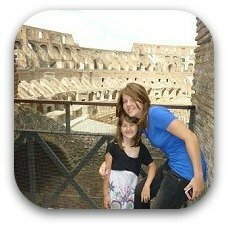 Explore Italy with Kids Articles! 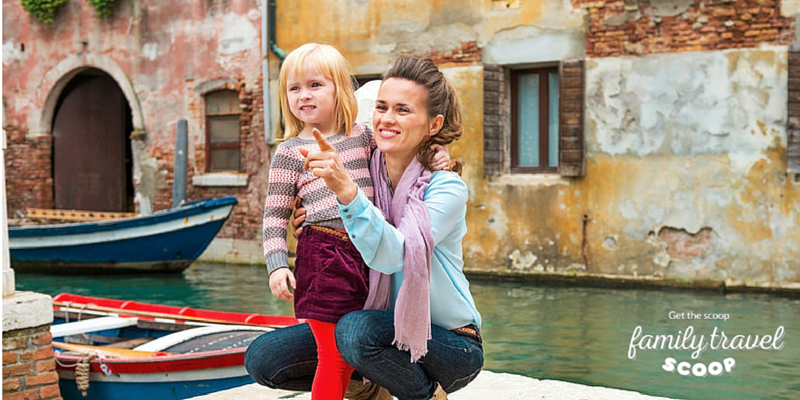 Charming Venice family hotels for all budgets!